The UK should “consider seriously” its own international student exchange programmes to replace the EU’s scheme after Brexit, the head of one of the UK’s leading universities has argued. The vice-chancellor of Cardiff University said he was “absolutely in favour” of students studying abroad. Prof Colin Riordan said the Erasmus+ programme was “relatively inflexible”. The UK government said access to future EU programmes was a matter for negotiations. The head of Cardiff University, which is part of the Russell Group of elite British universities, does not believe the UK should definitely leave Erasmus+ but said it would be “worthwhile” looking at other options. It was announced in December by the prime minister that the UK would continue to take part in the current scheme until it ends in 2020. The Welsh Government believes Wales should continue to be a part of the programme, as set out in its Brexit white paper. Erasmus+ sees students study in another European country for between three and 12 months as part of their degree. Since 2014, Wales has received almost €30m (£26m) from the programme, which has supported 187 projects, while 7,595 people have participated. With the UK set to leave the EU in March 2019, Professor Riordan said the country would “need to be open to the world” post-Brexit. He said: “we need to think of it in terms of not just the EU but the whole world. “So, there’s China, there’s India, there’s Australia, there’s Canada, New Zealand – there’s countries all over the world that we might want to send our students to as well as the European Union states. Professor Riordan raised concerns “we will have really relatively little say over what that programme looks like” after the UK has left the EU and also criticised the requirement that students go abroad for a minimum of three months. “Many students can’t really do that, either they can’t fit that into their studies,” he said. Freshly back from his five-month stint at university in the French city of Nantes, Ieuan Bancroft, from Cardiff, said the experience “opens your eyes up”. The 21-year-old Cardiff University student said his “French has improved massively” and that studying abroad “gives you so much more”. “I’ve definitely developed as a person, rather than just my language,” he said. Dr Hywel Ceri Jones, a founding father of the initial Erasmus programme and former director general for employment, social policy and industrial relations for the European Commission, has previously said Wales faces a “mountain to climb” if it does not secure access to the scheme. 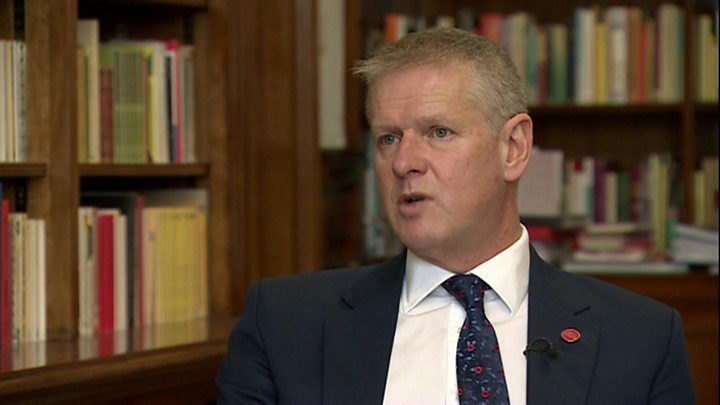 A member of the Welsh Government’s European Advisory Group alongside Professor Riordan, he criticised the Cardiff University boss’ suggestion to create a replacement. He added: “What I’m more concerned about is the notion that all that matters is sending students out of the United Kingdom.